Pokemon Go might have had some missteps, but it's still a Pokemon game. It's been a year since Pokemon Go first came out on mobile devices and took the world by storm. Despite some high-profile missteps (which I'll get into in a bit) the community around Pokemon Go has kept strong, posting 65 million monthly active users in April 2017. While it's not hard to figure out why Pokemon Go is so popular (because Pokemon is popular, duh), I was interested in finding out what keeps 65 million trainers going. While all the Pokemon Go players I talked to had an answer, talking to a lot them didn't give me the answer. Pokemon Go pitched fans a dream they've nurtured since the very first Pokemon games came out on the GameBoy, "what if you could catch Pokemon in real life?" To do this, Nintendo and the Pokemon Company partnered with Niantic, a San Francisco-based Augmented-Reality development company. 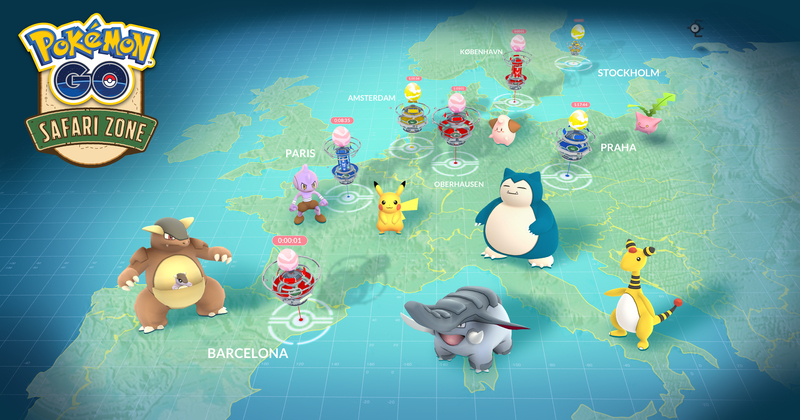 Together, they expanded upon Niantic's previous AR game—and proof-of-concept project—Ingress, to create what eventually became Pokemon Go. When Pokemon Go initially came out, it was lacking many of the features that were prominent in console Pokemon games like gym badges, PvP battles, and trading. However, Pokemon Go nailed arguably the most important feature of any Pokemon game: the ability to encounter and capture wild Pokemon out in the world. And the fact that the game's world was also the player's world, well that was the dream wasn't it? 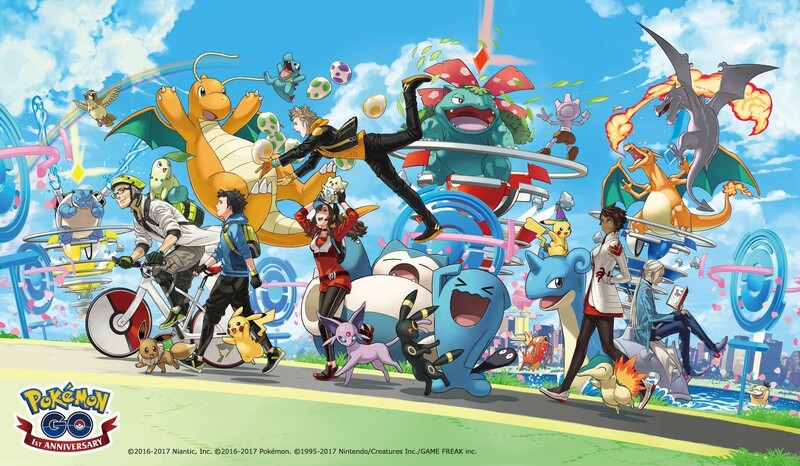 A year in and players fought technical server issues at launch that threatened to derail the game's rollout, key features delayed until earlier this year, a serious crisis involving Pokemon Go cheaters and spoofers, and most recently, the Pokemon Go Fest. Through it all, the Pokemon Go community continues to play and thrive, building large networks of players through Discord and Reddit where they can share tips, build alliances, and compete as Pokemon trainers would in the handheld games and anime. Pokemon Go, for all of its high-profile missteps, tapped into every Pokemon trainer's yearning to be a Pokemon Master. To find out what makes Pokemon Go compelling after a whole year-and knowing everything we know about how the game works, or fails-I decided to ask the players directly. So I went to r/The SilphRoad—one of the more prominent online Pokemon Go communities—and asked a question: After a year, what keeps you coming back to Pokemon Go? "Simple: Gotta catch em all[!]" wrote Reddit user SotheBee. When I pressed for a little more, they told me, "I have played the Pokemon series games for over 20 years now. One of the things I always have to do is complete the Pokedex... Basically, I love the challenge that is completing the full Pokedex and until I can do that in Pokemon go I probably will not stop playing!" Although they admit that they probably won't hop on a plane and travel the world for a Farfetch'd or something. "I will wait for events or trading," they said. For a game with millions of players, there will of course be millions of reasons why they play. It doesn't help that the game also doesn't necessarily function the same for everyone. As a game dependent on your real world location, there has been considerable amount of attention paid to the rural vs urban debate in relation to Pokemon Go. "I stopped playing as a suburban player pretty quickly," user thymeleaves told me. "[I] started playing again in early June when my wife and I moved to an urban city—It's been amazing! I love the events, the challenges of finding certain biomes, and strategizing." From there, Pokemon Go sprouted from an isolated experience for thymeleaves, into a connected one. "I've also come to love the social aspects of this game—The Silph Road, my local subreddit, and their respective discord groups." Discord being the voice chat app favored by gamers in recent years. A quick peak at the Silph Road Discord room shows channels dedicated to different regions of the world, catering to players on both a micro and macro level, helping strangers find nearby players to connect with, or a global chatroom to hang out. And when it's time to get back out into the world again, then some players will do just that. "I like the social interaction and the wanting to explore new places. I've spun a PokeStop and looked up and noticed places, monuments, and art I've walked past all of my life," says user Satelitestars, who could have seen those globetrotting ads for Pokemon Go and taken them to heart. "I have played in St. Thomas and Mexico and recently collected a gym badge for a gym in Cozumel. I even have the famous mile marker 1 gym badge from Key West, Fl." 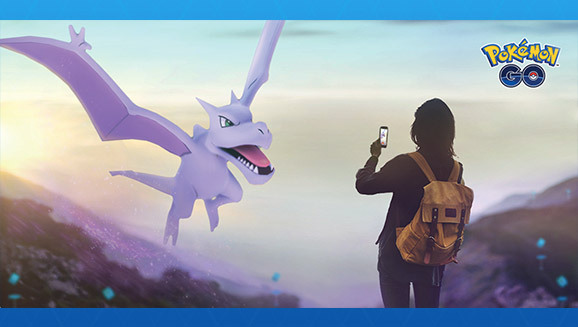 And while other users cite events as another main incentive to keep playing, Pokemon Go events seem to be the exciting payoffs for days of regular play. A western Europe-based player named EnemysKiller told me that they've been playing the game before the game even came out in their country. "The events keep me motivated to keep playing. In between, [Pokemon Go] can feel kind of dull, but I do my farming while I'm out and walking around anyways." Niantic's recent update appears to have only improved the social aspects in-between major events. "Since the raids came out and I've met more local players, I don't care for the events as much anymore, but they are definitely the thing that gets me to actually drive to the next big city to play there actively." Although EnemysKiller adds at the end, "Then again, I haven't caught 'em all yet[.]" Ultimately, despite talking to several different players, across regions, population density, and even continents, I haven't figured out if people play the game for its quality, or because it's a Pokemon game. The commenters clearly felt dissatisfied with some aspects of the game, whether it's the repetitive nature of the combat, or slow updates, but ultimately still find reason to come back. And Niantic, despite ignoring a request to comment for the piece, is deeply involved with the community, tackling the spoofing epidemic with its latest gym update. "240 (as of right now) different Pokemon to collect, plus variants in gender, IVs, and shininess... The nostalgia many 20+ year olds feel for the game has been huge too," says vikinghockey10. And maybe that's just it. The quest to become a Pokemon Master and catch the infinite amount of Pokemon is a pact we all made in our childhoods, and Pokemon Go won't lose steam any time soon as long as there are players who want to catch them all. Tagged with Android Devices,	Feature,	ios,	matt kim,	mobile,	Niantic,	Pokemon.